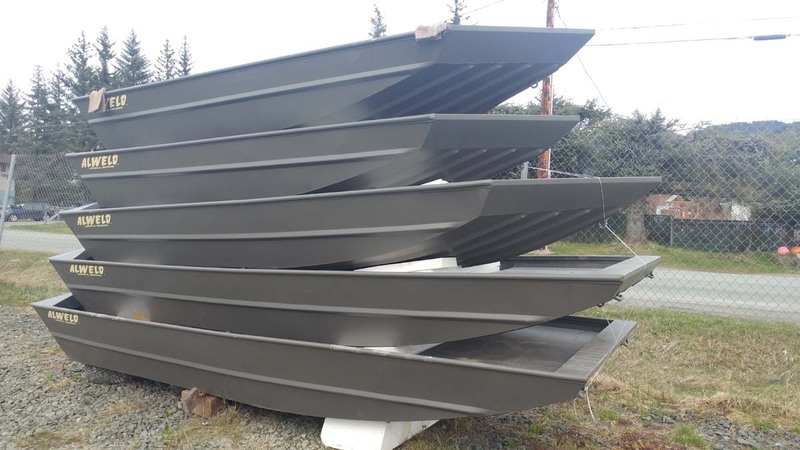 Willie's Marine is a proud Alweld boat dealer- Offering the toughest aluminum jon boats for use in Alaska. Willie's Marine stocks Alweld boat models varying in size (14'-18'), hull shape (modified V or flat), seat configuration, and consoles (side or center). Additionally, custom options include windshields, gearboxes, grab rails, and more. Each Alweld boat is available individually ($2999-$7500), or as a customizable boat package. Boat packages typically include a trailer, choice of Yamaha or Mercury outboard, fuel filters, lines, tanks, and batteries. Have a specific Alweld boat package in mind? Fill out Custom Order Quote Request and we'll have you up river and sending beaver dams in no time. Visit https://www.alweld.com to learn more about Alweld Boats.